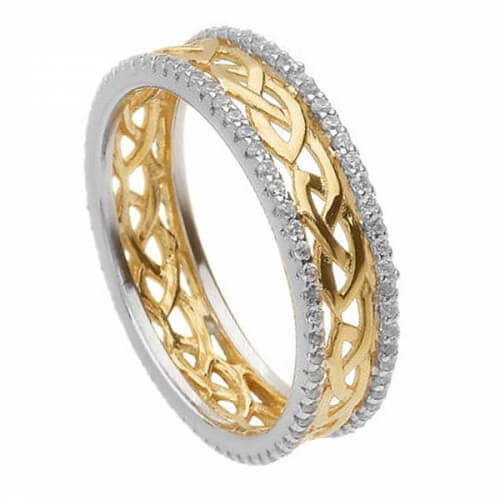 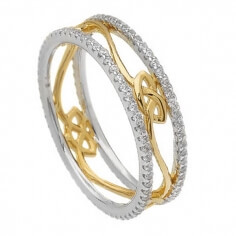 A gold plated continuous Celtic love knot is the central band, surrounded by two Sterling silver rails simply filled to the rim with sparkling cubic zirconia. Handcrafted with care and attention to detail, this ring is hallmarked by the Dublin Assay Office - your mark of authenticity. 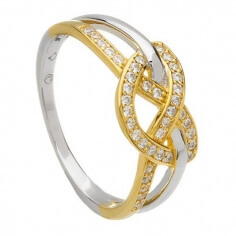 Wonderfully presented in luxurious ring box.